This 30' by 24' Cabin with sleeping loft is compact but is packed with extra features. Access to the main floor is provided by a front door on a sheltered front porch. A sliding glass door in the rear leads to the back yard. A stairway leads to a spacious 378 sq. ft. open loft. Twin windows the sides of the loft and two more in the dormer provide natural light. 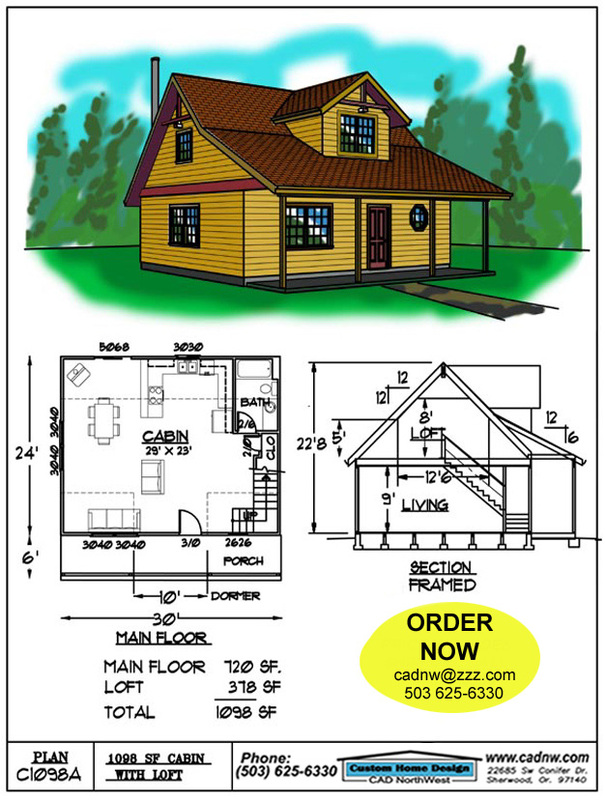 This is a great open living area plan with a complete roomy kitchen bath and wood stove. This would be a fun place to escape from the city traffic and just relax.